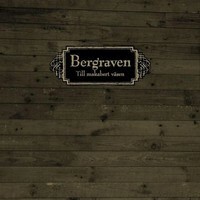 Bergraven shares little with Scandinavia's manifold black metal agoraphobes, or such U.S. peers in loneliness as Leviathan and Xasthur. Instead, the album shoots out criss-crossing tentacles of liquid guitar and bass, blackened rock riffage and some of the more disturbing vocals I've ever heard on a metal record. Comes in slipcase. Used CD In Excellent Condition.